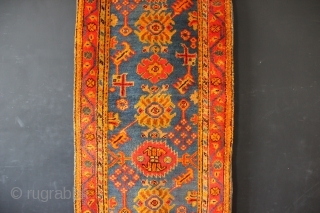 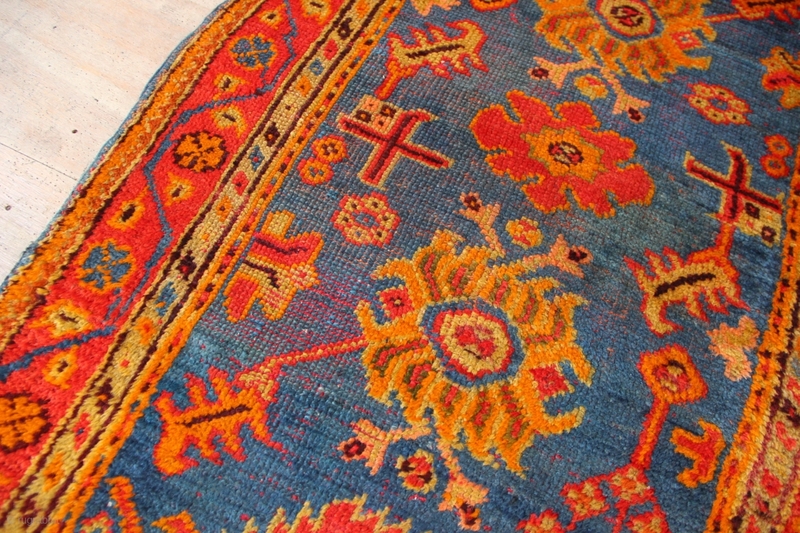 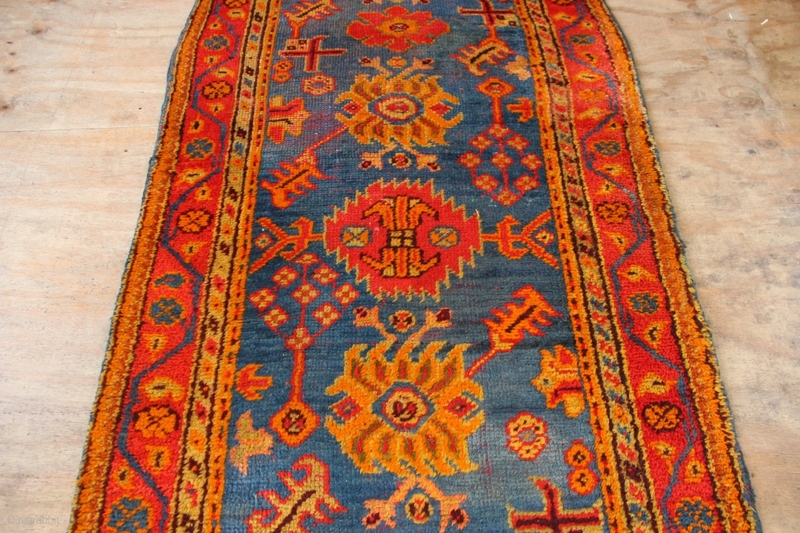 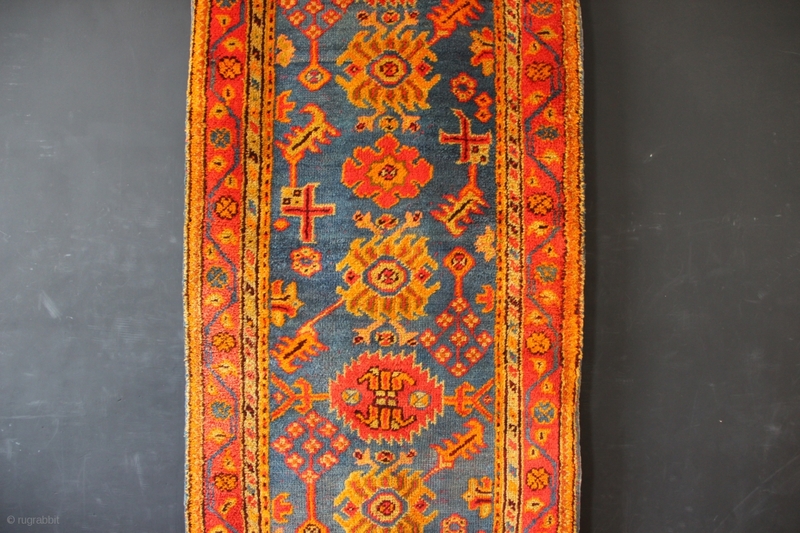 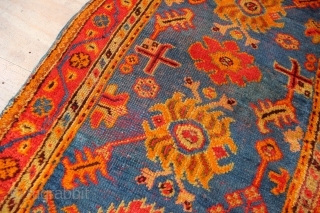 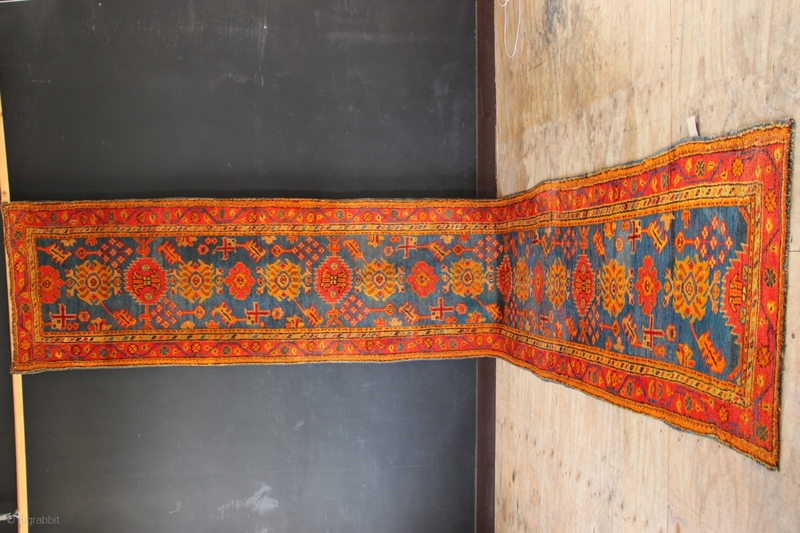 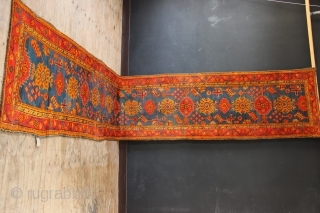 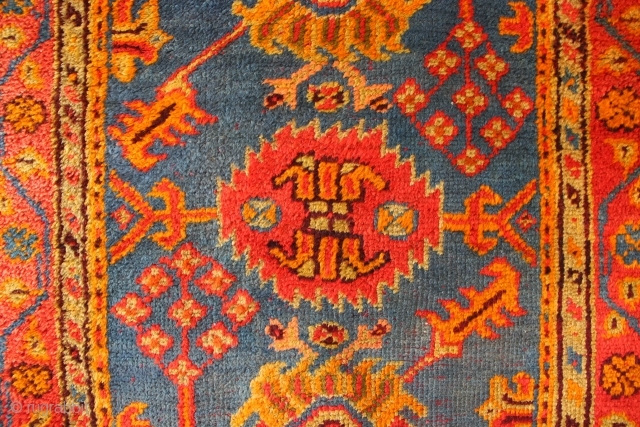 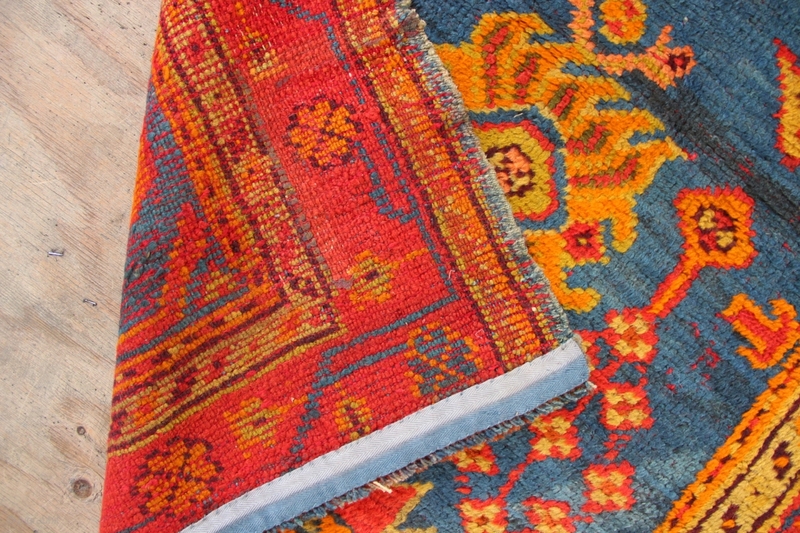 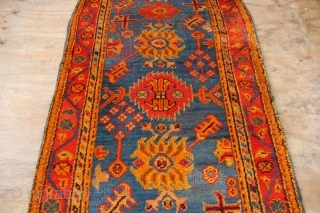 19th century Oushak runner 3'8" x 20'8" cut and reduced at one end. 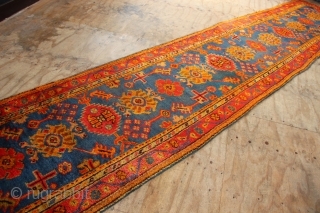 Rather attractive greeny-blue field and in good condition with some low pile areas. Please look closely at the pictures. Clean and ready for your floor.